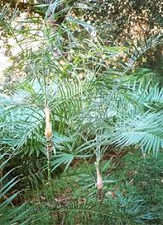 Slender palm growing to 3m. Will grow in full sun to part shade. Looks best group planted. Good for narrow gardens. Is cold tolerant.